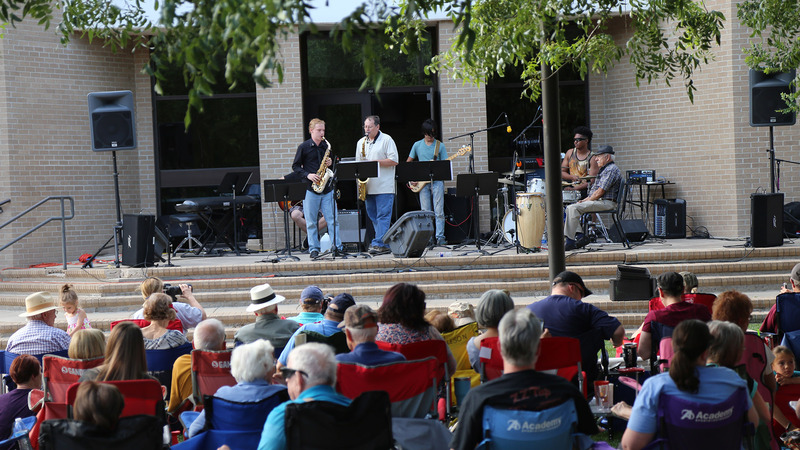 June Jazz will expand into two Tuesdays in July this summer. Amarillo's summer music season is ready to explode for another year. Outdoor concert series in Amarillo and Canyon will kick off in just a couple of weeks, but already, restaurants and bars have started offering patio music, and music festivals are all around. Here's your ultimate guide to outdoor tunes this season! The Starlight Theatre concert series resumes May 29 in Sam Houston Park. June Jazz will expand into the first two weeks of July at Amarillo College. 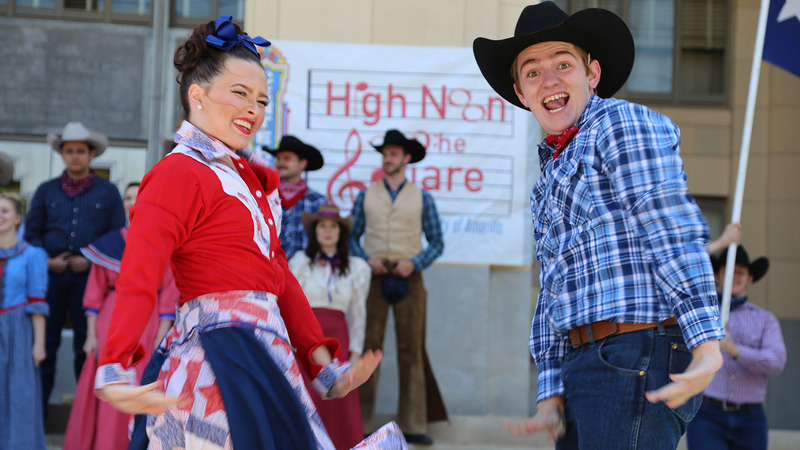 High Noon on the Square returns June 6 in downtown Amarillo. 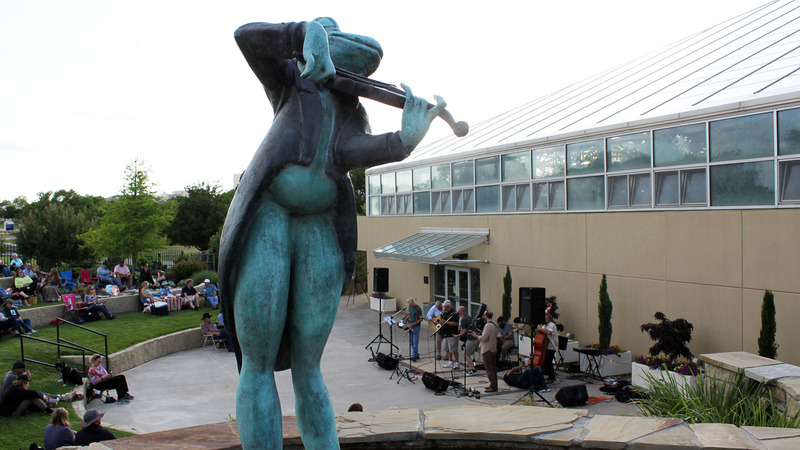 Amarillo Botanical Gardens' Music in the Gardens resumes June 7. June Jams in Canyon will move from the courthouse lawn (seen here) to nearby Neblett Park beginning June 7. Of course, those aren't the only outdoor music options you have this summer. 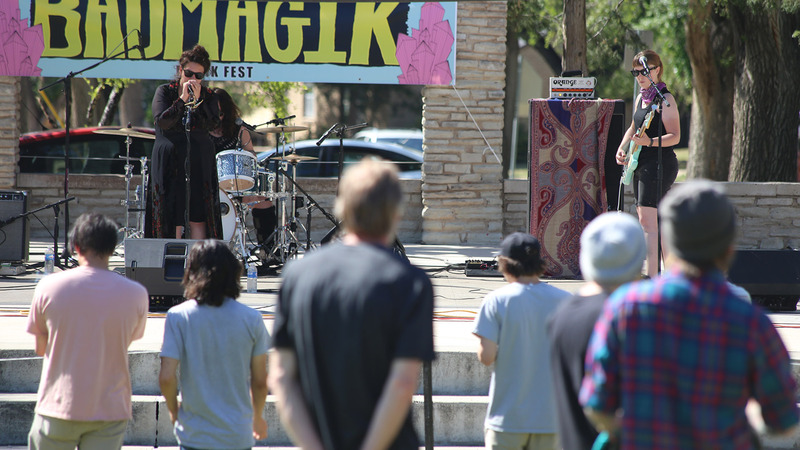 Bad Magik Musik Fest returns May 26 in Sam Houston Park. 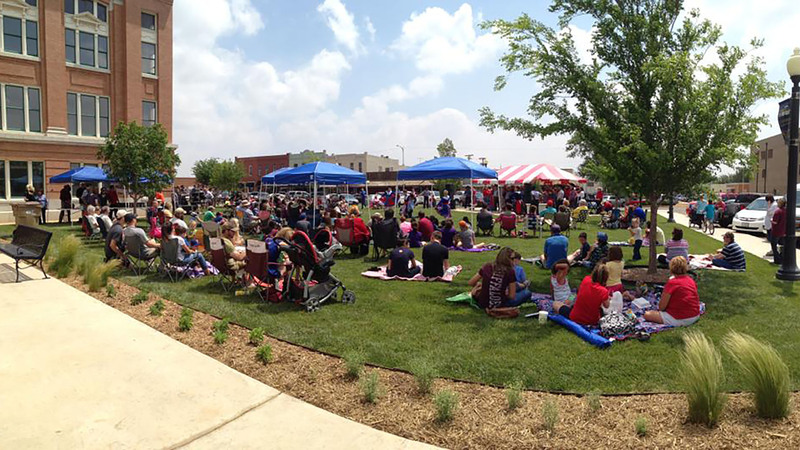 Amarillo Community Market will feature live music during its weekly market hours from June 9 to Oct. 6 around the Amarillo Chamber of Commerce, 1000 S. Polk St.
Bar Z Winery, 19290 Farm-to-Market Road 1541: The winery frequently offers music and food trucks Fridays and Saturdays through July. Buffalo's Cafe, 2811 Fourth Ave. in Canyon: The restaurant features bands on its patio around 9 p.m. most Saturdays, weather permitting. The Handle Bar & Grill, 3514 S.W. 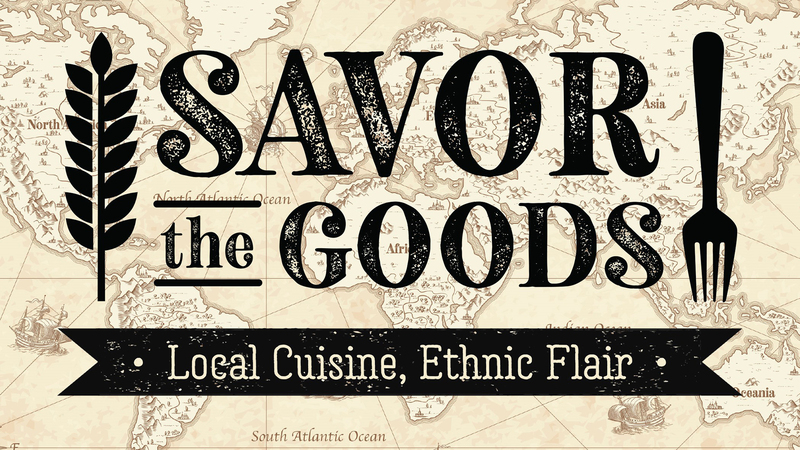 Sixth Ave.: Bands will begin performing at 7 p.m. Fridays and Saturdays on the restaurant/bar's patio in June. Hoots Pub, 2424 Hobbs Road: The bar plans patio and parking lot concerts throughout the summer. Check back for more details. J's Grill & Bar, 3130 S. Soncy Road: Bands perform at 6 p.m. Thursdays through September. Joe Taco, 7312 Wallace Blvd. 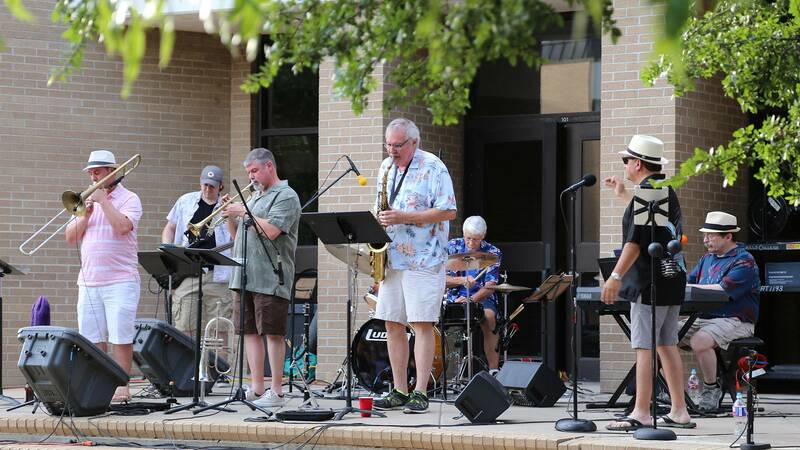 in Amarillo: Bands typically play from 1 to 3 p.m. and 5 to 8 p.m. Sundays — and occasionally on Thursdays, Fridays or Saturdays — through September. 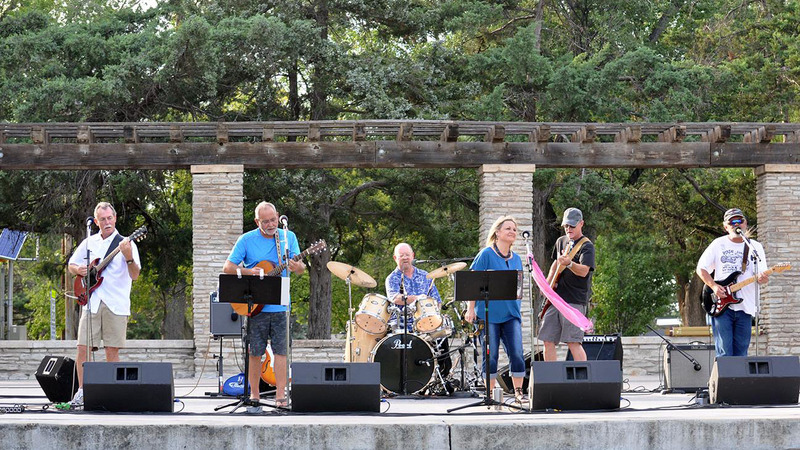 Joe Taco, 502 15th St. in Canyon: Bands typically play from 5 to 7 p.m. Saturdays and 2 to 4 p.m. Sundays — and occasionally on Thursdays and Fridays — through September. Jorge's Tacos Garcia, 1100 Ross St.: The restaurant hosts DJ Tommy The Hacker from 6:30 to 9:30 p.m. Thursdays, weather permitting. Napoli's Italian Restaurant, 700 S. Taylor St.: Andy Chase performs at 7 p.m. Fridays and James Owens performs at 7 p.m. Saturdays. Polk Street Eats, 614 S. Polk St.: Bands perform outdoors at 7 p.m. Fridays and Saturdays, weather permitting. RR Bar, 701 S. Georgia St.: DJs will spin around 10 p.m. most weekends throughout the summer. Six Car Pub & Brewery, 625 S. Polk St.: Summer concerts, which are still being scheduled, will take place in the new bar's outdoor courtyard. Smokey Joe's, 2903 S.W. Sixth Ave.: Bands perform at 8 p.m. most Fridays and Saturdays and Amarillo country singers Buster Bledsoe and Colton Wilcher host an open-mic night at 7 p.m. Thursdays on the patio, weather permitting. 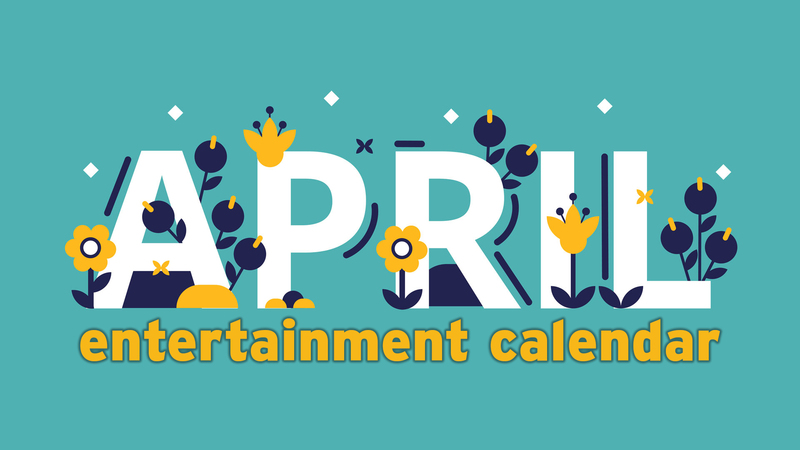 Starlight Ranch Event Center, 1415 Sunrise Drive: In addition to the music festivals listed above, look for Amarillo rock band Hangman at 7:30 p.m. May 19, Fleetwood Mac tribute act Forever Mac at 7:30 p.m. May 26, Red Dirt singer Stoney LaRue at 7:30 p.m. June 1, Elvis tribute act Kraig Parker at 7:30 p.m. June 2, Americana band Turnpike Troubadours at 7:30 p.m. June 15, Creedence Clearwater Revival tribute act Bad Moon Rising at 7:30 p.m. June 23, Texas country favorites Reckless Kelly at 7:30 p.m. June 28, Texas country star Kyle Park at 5 p.m. July 7, Johnny Cash tribute act Walkin' the Line at 7:30 p.m. July 13 and Texas country favorites Randy Rogers Band at 7:30 p.m. Aug. 18. More acts may yet be scheduled. Teddy Jack's Armadillo Grill, 5080 S. Coulter St.: Weather permitting, the restaurant has live music on its patio at 6 p.m. Thursdays and 7 p.m. Fridays. Wild Bill’s Fillin’ Station, 3514 S.W. Sixth Ave.: Musicians generally perform Thursday and Saturday nights, occasionally on Sundays. Zombiez Bar & Grill, 711 S.W. 10th Ave.: A variety of bands will perform throughout the summer on the bar's patio, generally on weekends.